Specializes in the overlap between mental illness and physical illness; and the medication treatment of a wide variety of mental health disorders, including anxiety, depression, bipolar disorder, ADHD, and psychosis. Dr. Kohler-Neuwirth joined Christian Family Solutions in 2017. She completed her Bachelor of Science in Biology with a minor in Psychology at Wisconsin Lutheran College in Milwaukee, WI, followed by a Master of Science in Applied Physiology from Finch University. She then obtained her medical degree from Rosalind Franklin University of Medicine and Science in Chicago. She completed her residency in psychiatry at the Medical College of Wisconsin in Milwaukee from 2007 to 2011, followed by a 1-year fellowship in psychosomatic medicine at the same institution. Dr. Kohler-Neuwirth is primarily employed at the Medical College of Wisconsin, where she is a psychiatric consultant in Froedtert primary care clinics. She specializes in treating patients with chronic physical as well as mental illnesses and the interplay between physical and mental health. 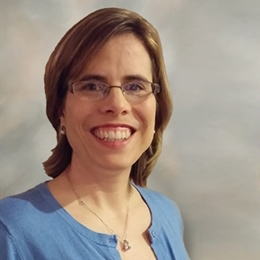 Dr. Kohler-Neuwirth is at Christian Family Solutions one half day per week and works with patients who are already engaged in regular psychotherapy with a Christian Family Solutions counselor. She is particularly interested in working with patients in the Intensive Outpatient Programs. She is able to manage mental health medications for a wide range of psychiatric disorders, including depression, anxiety, bipolar disorder, psychosis, and ADHD. She primarily works with adults, ages 17 years and above.